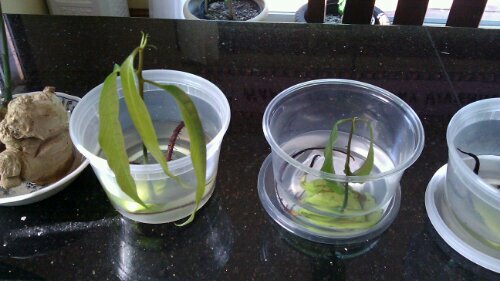 Here is a follow up on my mango growing activities. I figure they are easy enough to sprout, might as well do as many as I can. 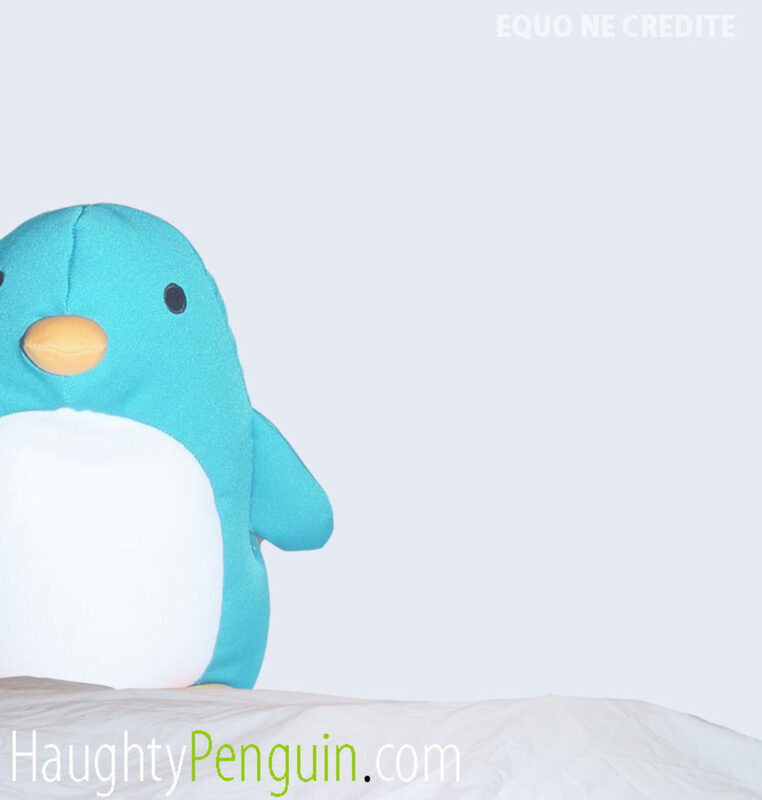 They do make great gifts, but unfortunately they do require some care. They need to be transplanted into a pot now. I have been putting this off, really not sure why. Eating a mango always seems to be messy business. 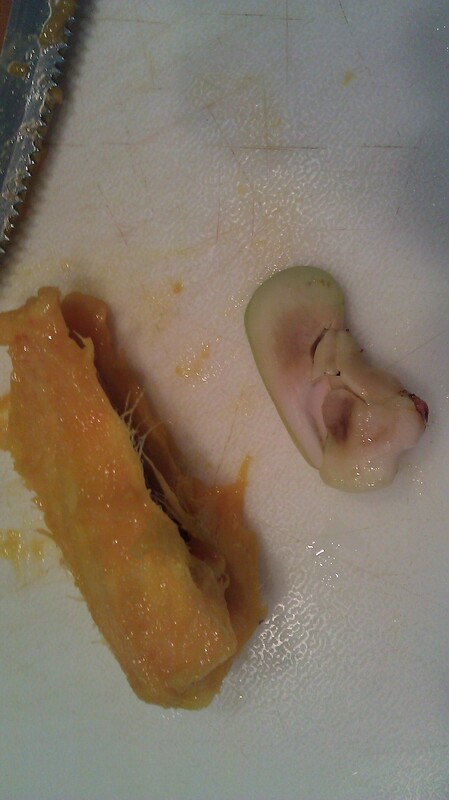 They are very tasty, but they have a huge seed in the middle, and they are very juicy. 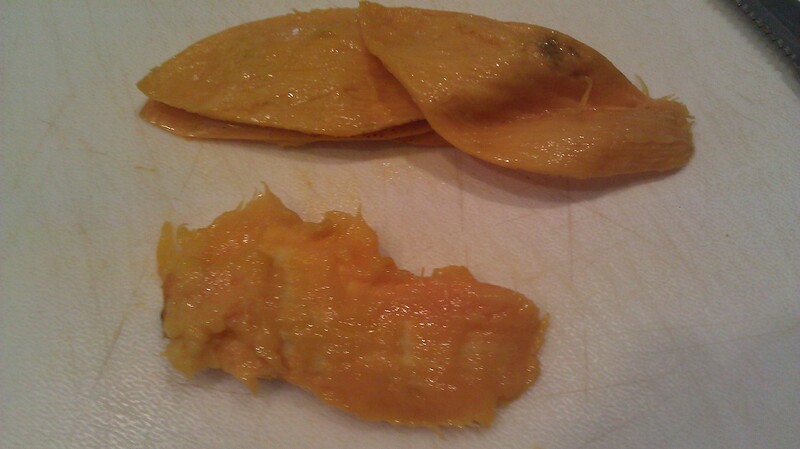 I have tried mango pitters before, but if your mango is too ripe, it will just get squashed. 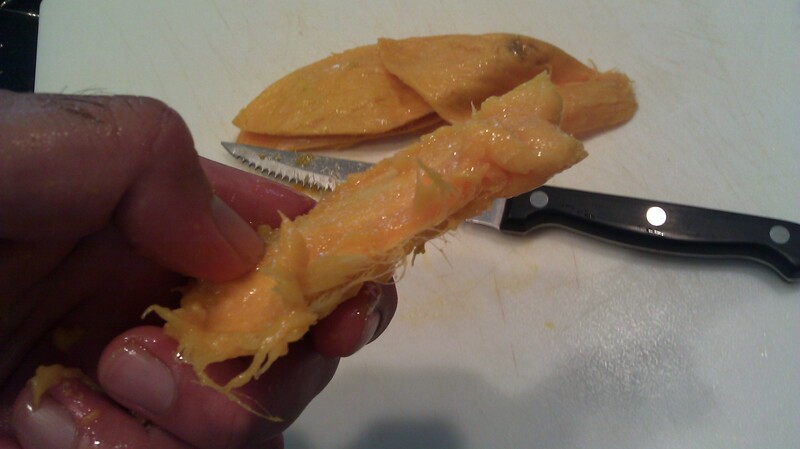 Even if you do pit the seed out, you still have mango juice all over the place now. 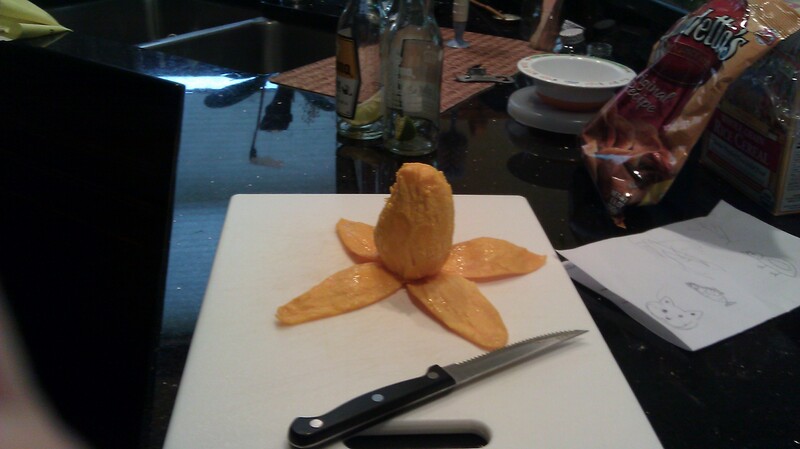 Growing up I would watch my mom cut mangoes. She would do what I refer to as the “flower technique,” or inversion technique. Somehow I never seen these mini mangoes before until I went to Beijing, China. Odd thing is once I came back from China, I noticed that we should the mini mangoes here in Ohio. Eitherway, I saw someone there eating what seemed to be an oddly shaped banana, but on closer examination, this lady was eating a mango. She had peeled the skin off like a banana. 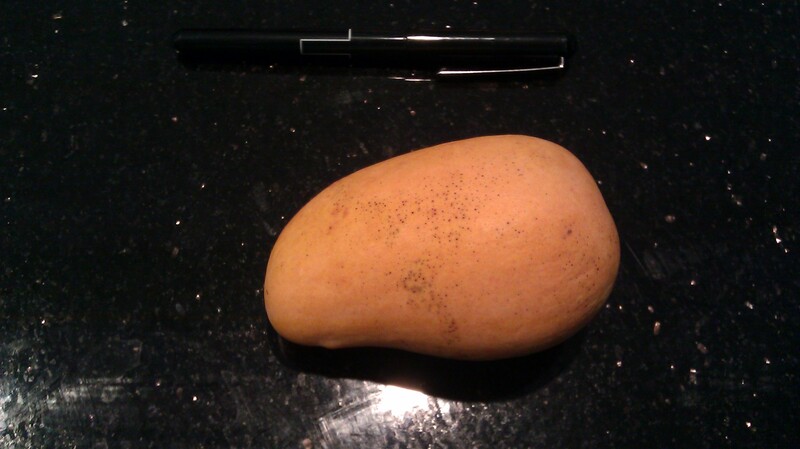 Interestingly it works well with these Mini Mangoes, and is better if the mango is ripe. 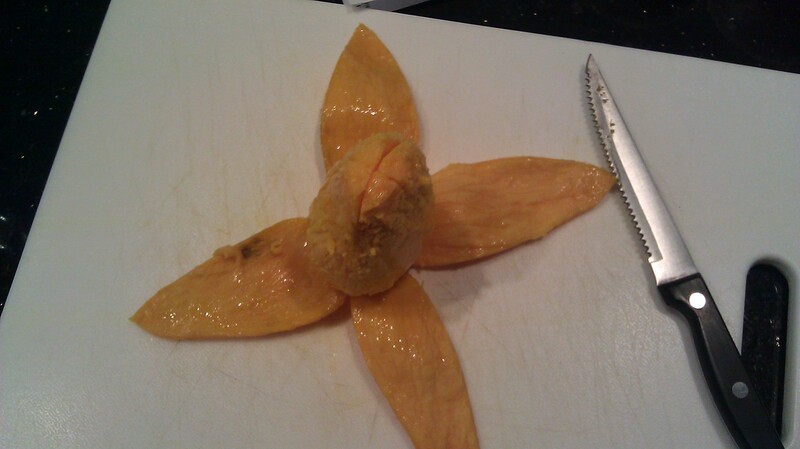 So here is my take on peeling mangoes. The benefits are great: 1. you dont waste any of the mango, 2. it is less laborious to peel and eat a mango. Unfortunately it does not solve the problem of the mess after. Step 2. 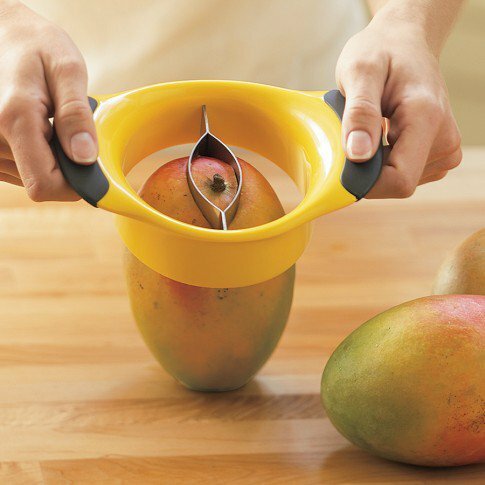 Peel the mango gently. Step 3. Eat the mango. 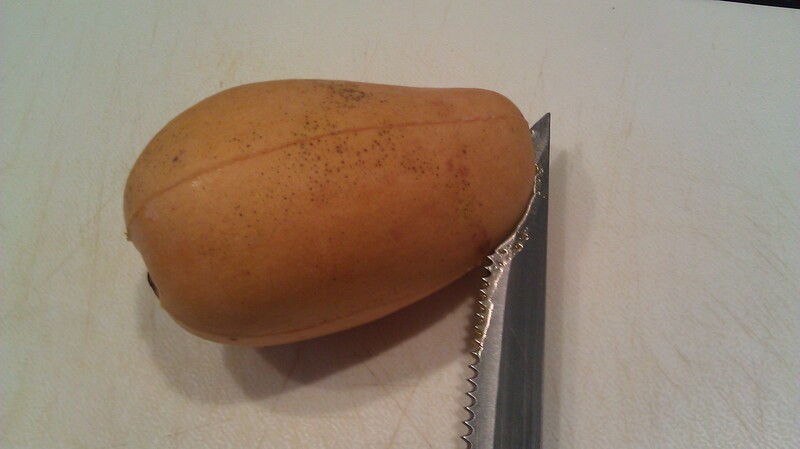 Obviously if you are out and about, and do not happen to carry knives with you, you can easily enough just peel the mango without cutting. This is just a tad messier, but better than not eating a mango at all. 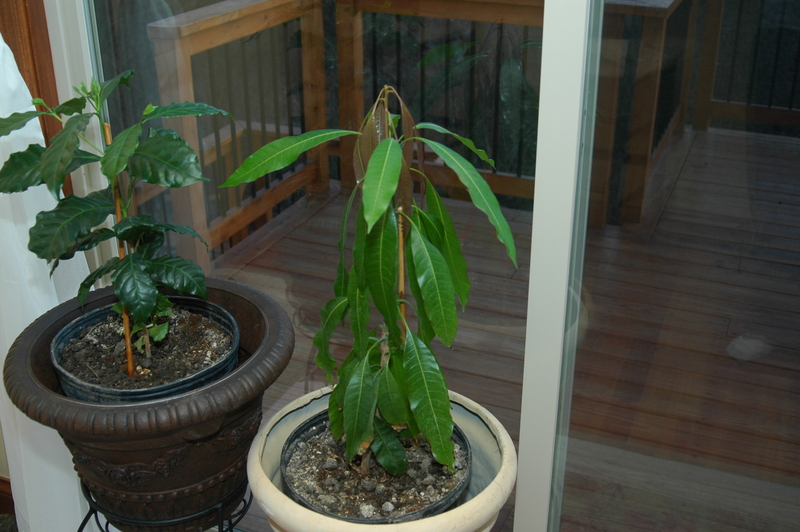 When I was younger (the day before the net was readily available) I wanted to grow a mango tree. I figured it would be easy to. Plop the seed in the ground and voila. Well it seemed they would usually just rot. Never grew a darn thing. Forget the fact that I live in Ohio. It should still sprout. Many years later, I decided to try again, and had the great idea to check online. Someone must have tried to do this once before. 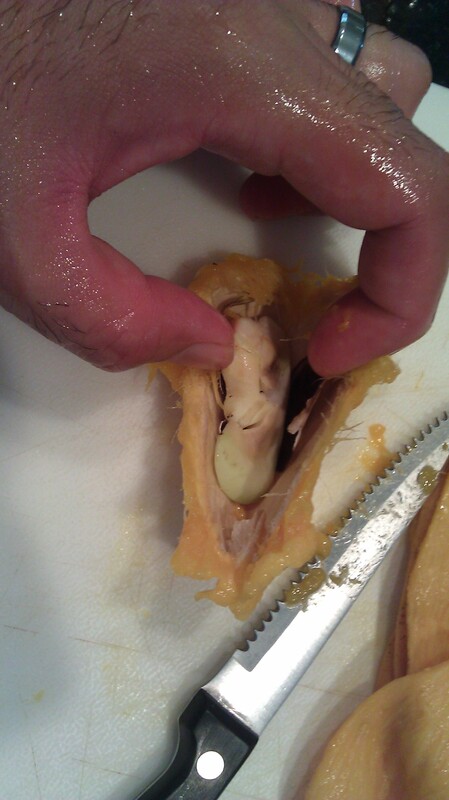 I found out that the hard shell inside a mango is just a husk. 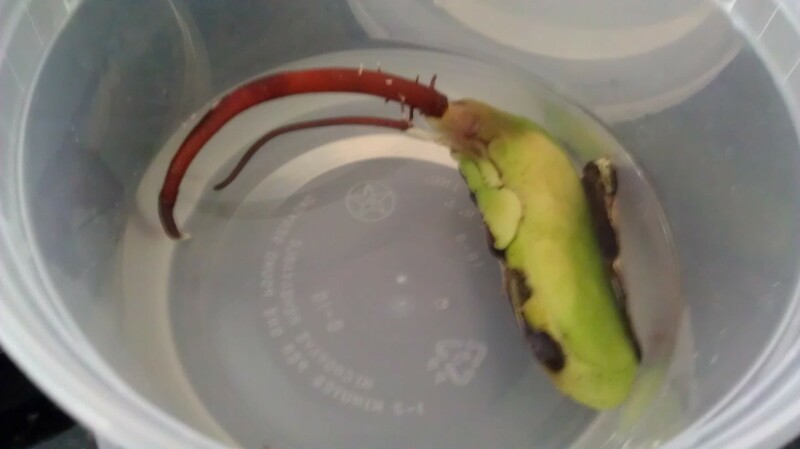 The seed actually is inside . 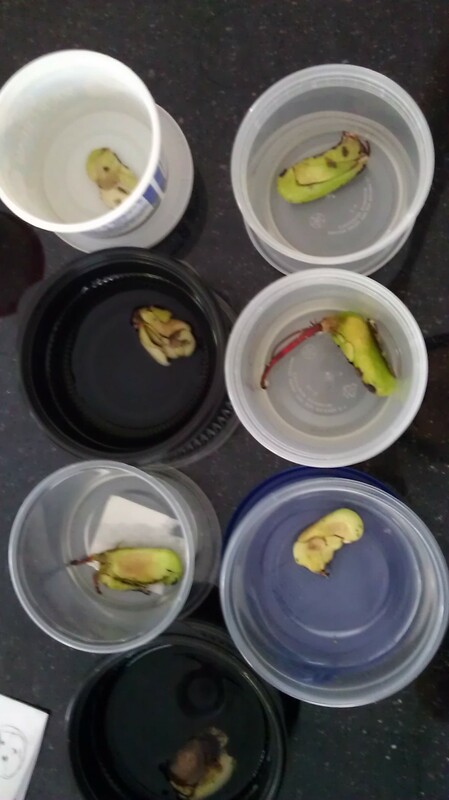 So here are the steps I used to germinate mangoes from a seed. Step 2. Pry open the husk. You may have to scrap away one end to find an opening or to find a place to create an opening. Step 3. Take seed out and put wash with soap. Hopefully this step will reduce the amount of mold that grow in the water. Step 4. 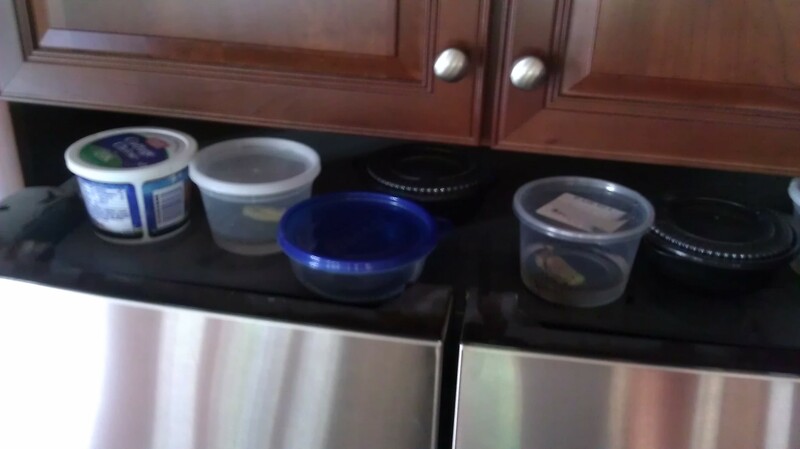 Place seed in a container and fill with water until seed is submerged. Step 5. Place container with mango in a dark warm area. I usually place it on top of my fridge, where it is somewhat hot and dark. Back in my apartment dwelling days I would place it on top of my computer, since the compy usually generates so much heat. Step 6. You will want to change the water about every other day, to keep the water from molding. 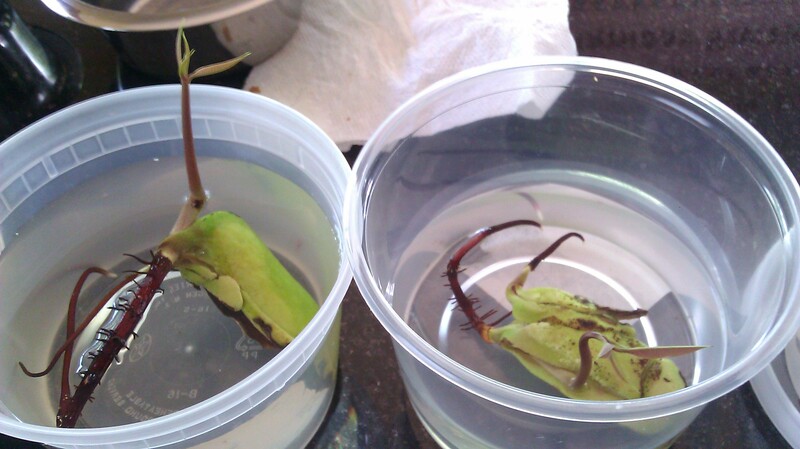 I am currently trying to sprout 6 mango seedlings. I will try to update the status with additional pictures on this post directly.